Cheap Things To Do In Vancouver In November! Friends! It's that time again where we deliver an eclectic mixed bag of low budget events to check out in Vancouver. There's something for everyone here so go check one, or all, of these events out. And as always, wear your Vancouver, we love you shirt and send us photos to post right here! November 13 - Canzine West! Interested in independent publishing and 'zines'? Check out Canzine West to meet, network, or just mingle with creators and admirers of indie culture. It runs from 1pm-7pm and features nearly 100 creators of zines, comics, and books - including artists, writers, comic illustrators, distributors, and independent publications and presses. (Also includes a cash bar). The event also includes Q&A sessions with locally published authors, various workshops, and writing critique panels. Tickets are $5 and includes the latest issue of Broken Pencil. November 18-20 - Eastside Cultural Crawl! 3 days, 327 artists. 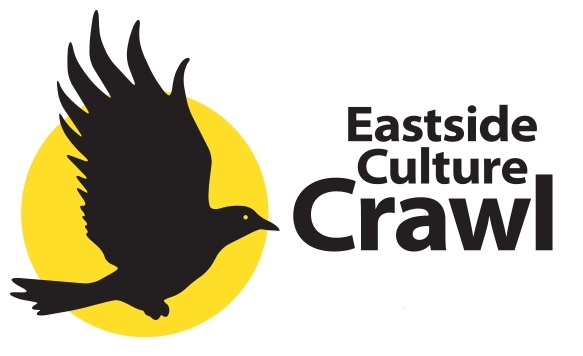 The Eastside Cultural Crawl is a fantastic annual event showcasing some of the best artistic talent in Vancouver. Spend the day visiting artists in their studios in the area bounded by Main Street and Victoria Drive, discovering new art and making new friends. Added bonus, the event is FREE! 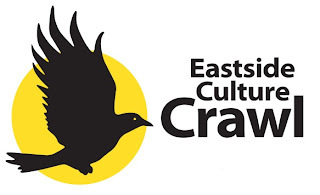 Visit the Eastside Cultural Crawl website for a downloadable program guide and map. 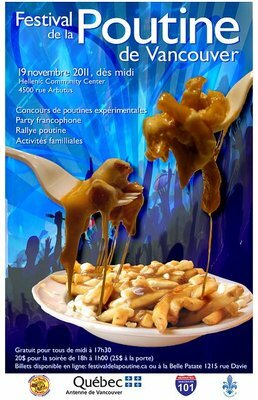 November 19 - Poutine Festival! Possibly November's "can't miss" event… a day completely dedicated to the glorious creation best known as POUTINE! The Poutine Festival includes a guided "Poutine Crawl" from 12pm-4pm showcasing the best Vancouver poutine spots and of course includes tastings. If four hours of eating poutine isn't enough for you (and we completely understand if it isn't) the evening festival activities begin at 6pm with a creative poutine contest judged by local food critics, restaurant owners, and "poutine specialists." We're still waiting for the phone call to be included as one of the poutine specialist… we're highly qualified. For more information on both events and to purchase tickets click here. November 24-27 - CFL Grey Cup Festival! Football enthusiasts and mild sports supporters alike, the CFL Grey Cup Festival has a number of fun events for you! From Friday till Sunday the TELUS StreetFest offers FREE concerts and activities for the whole family. For those 19+ looking to celebrate the Grey Cup coming to town the Molson Canadian House is the place to drop in for a beer or catch one of their great evening concerts featuring Colin James, Aaron Pritchett and more! And if you have absolutely no interest in football, beer, live music, or any of the other weekend activities associated with the Grey Cup, there may still be one thing that brings you out to Saturday's Safeway Grey Cup Festival Parade…. Cory Monteith. Yep. The Glee star and proud Vancouverite will be the parades Grand Marshal. So there you have it. Truly a weekend with something for literally everyone. For a complete listing of ALL the Grey Cup weekend events, click here. If you have an upcoming event you think we should feature, let us know!